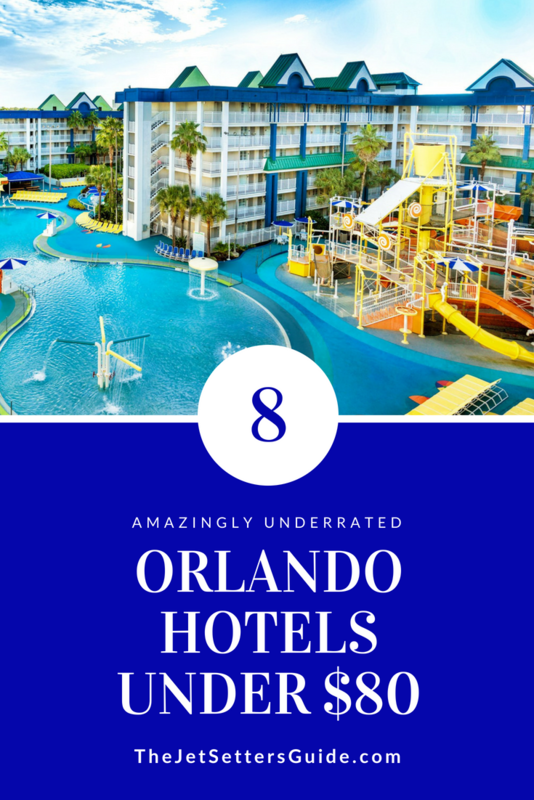 If you’re planning a family vacation, chances are you’re going to visit Orlando, Florida at least once. 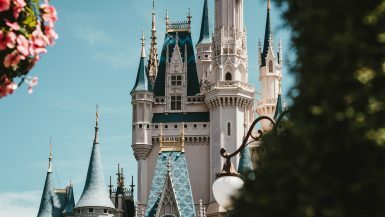 Home to Disney World, Universal Studios, Discovery Cove and more, Orlando is one of the most visited locations in the world with over 66 million guests stepping through city lines every year. 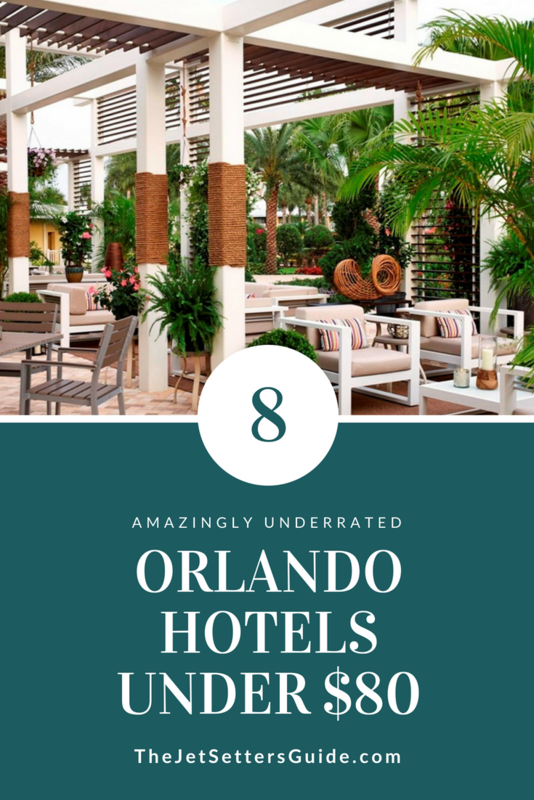 If you’re planning a trip to this entertainment mecca, here are eight amazing Orlando hotels you can score for under $80 a night! Why pay to visit a water park when there’s one at your hotel!?! The Holiday Inn Resort Orlando Suites is located just one mile from Disney Springs and nine miles from Universal Orlando. Here, you can choose between one, two or three bedroom suites with all accommodations equipped with kitchenettes, living room area with queen size sleeper sofa and more! Not only does this property have an amazing pool area, there’s also an arcade, 4D movie theater, and a Batman Laser Challenge. This Holiday Inn also features a variety of restaurants and a food court on-site, with kids eating free. All guests can take advantage of the free shuttle rides to and from all major attractions. Tip: Search Holiday Inn on sites like Booking.com as this hotel is consistently offered for $70 a night compared to the $150 on their website! Want to feel like a jet-setter without spending more than $74 a night? Of course you do! For those who like the finer things in life, consider staying at Wyndham Orlando Resort International Drive. There’s no theme park view or built-in water park, but it doesn’t need one. Here, the rooms reign king with touches of luxury included throughout the property. Take the pool area for example. At the Wyndham Orlando, all pool seats include built-in cushions. The dining options? No two seating areas are quite the same. This property is perfect for travelers who want to feel like they can fly to Orlando and never leave their resort. With spacious rooms, delicious food, and Instagram-worthy views, this is definitely worth your vacation consideration if you’re looking to spend less than $80 a night on lodging. Tip: The Wyndham Orlando Resort International Drive hotel is steps from ICON Orlando™ 360, Orlando’s newest entertainment district. Make sure to plan some time to check out all there is to do at the district, as exploring can easily take a few hours. Why spend $400 a night to stay at Universal Orlando hotels, when you can stay at the entrance for only $80 a night!?! Doubletree by Hilton at the Entrance to Universal Orlando is located right next to the Universal Orlando downtown district, with plenty of dining and entertainment options. Doubletree offers free shuttle service to all guests, free wifi and, best of all, free warm chocolate chip cookies each afternoon. 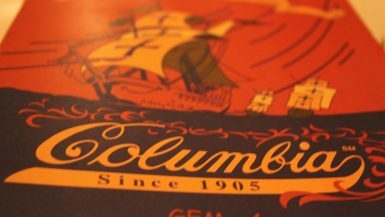 Tip: This Doubletree location is known for their 50% off Sunday rates. 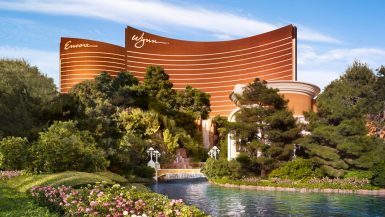 If you can plan your trip to include a Sunday night stay, your room will be as low as $40! If you want a view like Universal Orlando’s Cabana Bay Resort but you don’t want to spend $170 a night to stay there, consider the Avanti Palms Resort & Conference Center! For less than half the price, the pool and most rooms have a view overlooking Universal Studio’s Volcano Bay water park making you feel like you’re staying at an on-property resort! All rooms have been newly updated, there are various dining options (even Starbucks coffee), and there’s free shuttle service to all major theme parks when you provide 24 hours notice. With a central location, updated rooms, and theme park views, this is the ultimate resort for those who want to enjoy the feeling of being at a theme park throughout their stay! Tip: Check out Avanti Palms special offers on their website HERE. They constantly offer better rates than third-party sellers, including 15% off room rates! If you’d rather stay closer to SeaWorld, consider the Doubletree by Hilton Orlando at SeaWorld! 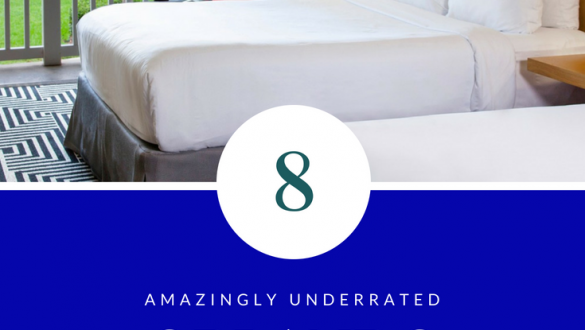 For an average of $80 a night, you’ll feel like you stepped into a tropical oasis. There’s a splash pad, a natural-formation pool, fun activities, and of course, updated rooms. If you’re looking for a fun location, and lots of pool time, this is an awesome place to keep in mind. Tip: This is the only hotel that didn’t mention complimentary shuttle service to the theme parks on their website. If that’s important to you, ensure you call ahead to see if this is something they can offer you during your stay. Keep saving! Here are four ways you can save 50% or more on your Disney World vacation! Looking for a hotel designed just as much for adults as kids? Avanti International Resort is located less than a 10-minute drive from Universal and a thirteen-minute drive from Disney World. The hotel is easy to navigate, with lots of parking and dining options. They provide free shuttle service to local theme parks, nightlife, and malls, just make sure you sign up for a spot on the shuttle by 3:30 p.m. the day before! Tip: While Avanti International offers a variety of dining options, opt-in for at least one meal at Shake Shack located a short walk away. 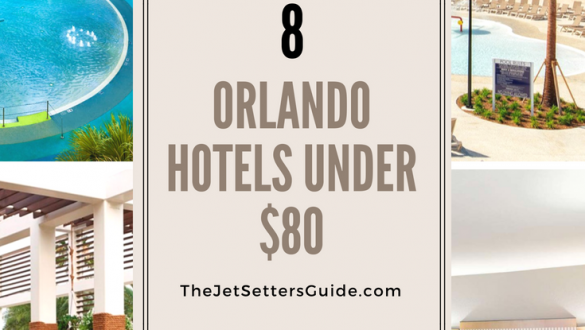 Rosen Inn is the cheapest hotel on this list, with an average nightly rate of $64. Here, you get everything that you want and nothing that you don’t. There’s, of course, convenient parking, free shuttle services, and a pool, with all rooms having a mini-fridge and microwave. This hotel is raved about on Tripadvisor with a 4-star rating and almost 9,000 reviews. Rosen Inn is centrally located in the middle of Orlando’s action-packed tourism area and right off of International Drive with more than 150 restaurants, hundreds of shops, rides, and six theme parks all within a 5-mile radius. Tip: Rosen Inn at Pointe Orlando is a steal at only $64 nightly average, but guests can save even more. Sign up for their newsletter before you book your trip to score exclusive promo codes. Located just one mile from Universal Studios and eight miles from Disney World, SUNSOL International Drive hotel offers value that underpromises yet over-delivers. SUNSOL offers FREE parking, FREE breakfast, FREE wifi, FREE all day snack bar, and FREE shuttle service to all major theme parks and attractions. It’s already an amazing offer, but they also offer discounted prices if you stay four or more nights! 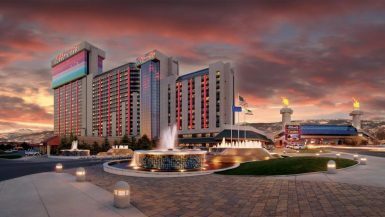 If you’re looking to enjoy updated rooms, a convenient location, and lots of freebies, this is a great hotel to consider. Tip: Weekend stays tend to only be $10 or less more expensive than weeknights. If you have PTO to consider, this place is a steal for weekend visits. 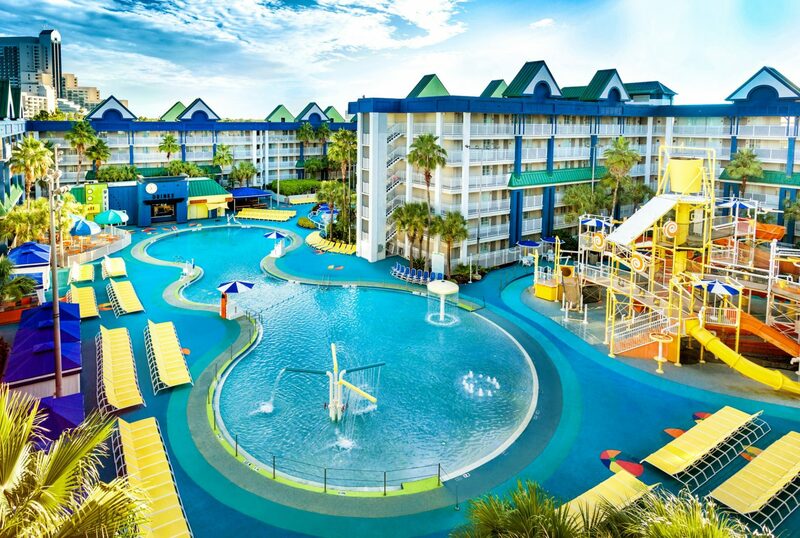 If you want your kids to say ‘woah’ at the view from your room, consider staying at the Coco Key Hotel & Water Park Resort! 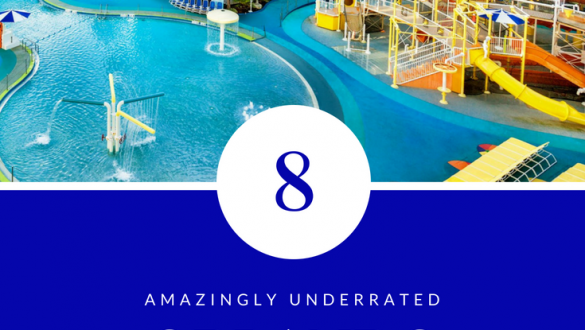 This place is literally a water park built inside a hotel, and it’s amazing. On TripAdvisor, this place has 4.5 stars with over 3,000 reviews, and it’s for a good reason. The water park! The rooms are updated, there’s an arcade, and there’s a guest-only pool and jacuzzi. 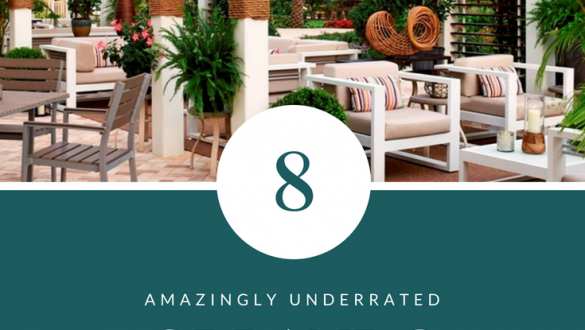 However, there are two reasons why Coco Key doesn’t make our awesome eight list – everything is available for a charge. Want to enjoy the Coco Key water park that’s mere steps from your room? You’ll have to pay $29.99 a day. Want to have a shuttle to Disney World? It’s available, for a fee. In fact, in looking up what your $79 a night buys you, you can get a deluxe king or two deluxe twin beds in a room with no view. If you happen to already be visiting this water park, and the shuttle service doesn’t bother you, definitely check this out. 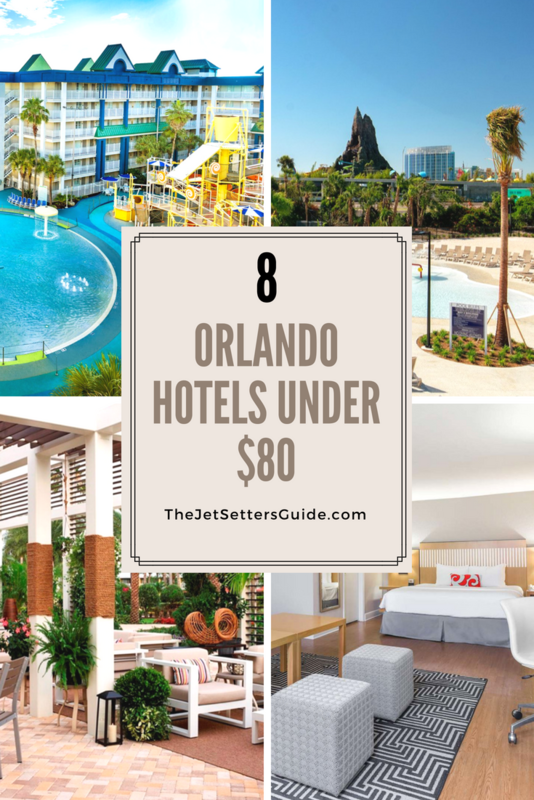 If you’re all about savings, however, consider sticking with a water park-inspired hotel like the Holiday Inn Resort Orlando Suites – Waterpark mentioned earlier in this list. 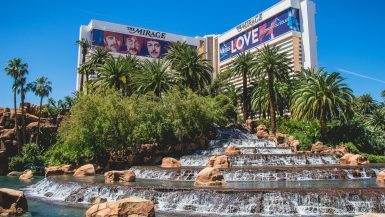 Tip: If you book a few days ahead of your arrival, look for an advance purchase special where you can score $10 off a night! 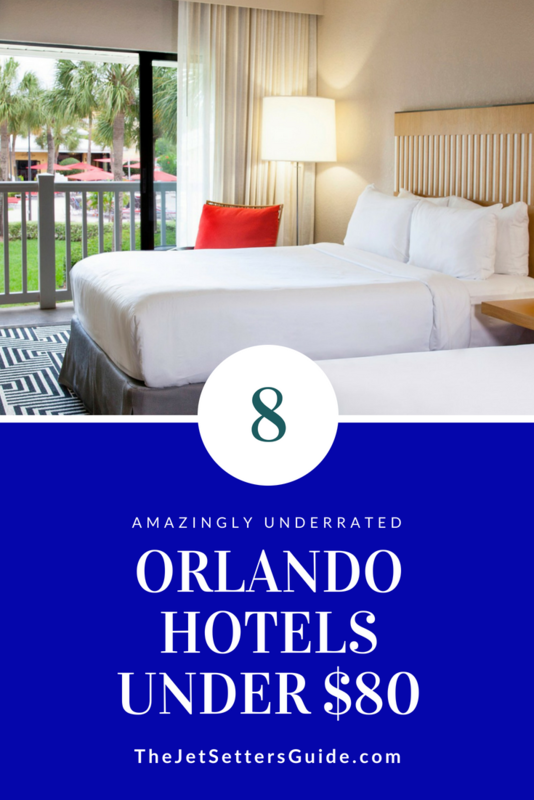 If you enjoyed this post on the best Orlando $80 and under hotels, make sure you pin this post for later! Simply use our Pinterest graphic below. Thanks in advance for sharing!